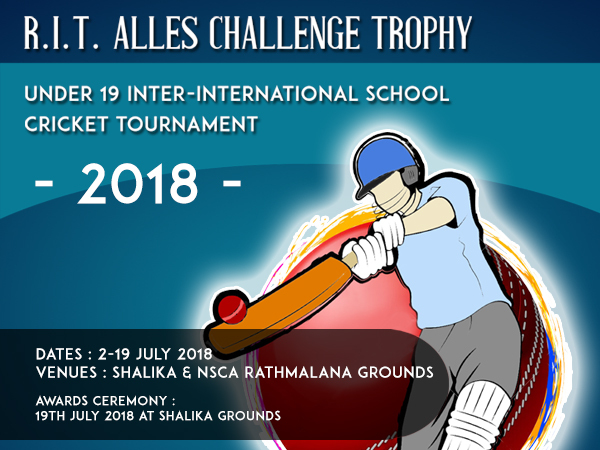 The Under 19 Inter International Schools Cricket Tournament played for the R.I.T.Alles Challenge Trophy will be played from the 2 nd to the 19 th of July. The flagship cricketing event of the International Schools of Sri Lanka (TISSL), the Association of the Premier International Schools of Sri Lanka is organized by Gateway College and is sponsored by the Edith Cowan University (ECU). The final will be played on the 19 th of July at the Shalika Cricket Grounds. Edith Cowan University (ECU) is proud to sponsor the Inter-International Schools Cricket Tournament for the second successive year. Located in Western Australia, ECU’s industry-relevant teaching and research, supportive study environment and award-winning facilities provide the ideal environment for staff and students alike. ECU has more than 27,000 undergraduate and postgraduate students, annually welcoming over 4,000 international students, originating from more than 100 countries.